Refuse to settle for disposable cups from coffee shops or sugar-filled smoothies when you’re out and about. Bring your own drink from home and do it in style. 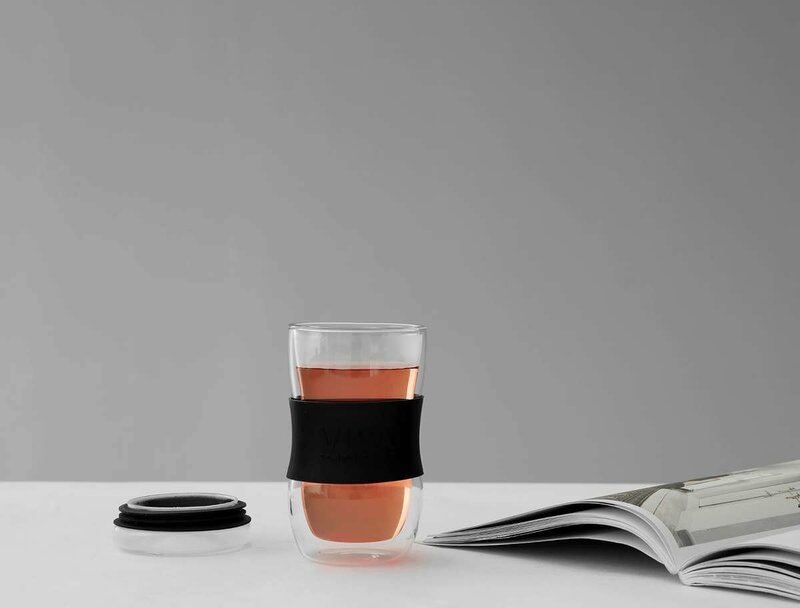 The Minima To Go Mug is made for people on the move. Bring perfection with you, wherever you go. Size: L: 8.6 cm - H: 16.0 cm - Vol: 0.40 L / 13.50 fl. oz. Being healthy and staying that way is something we all aspire to. It’s a beautiful thing to treasure your body. To treat it like a temple. Maybe this comes naturally to you. Or maybe it’s something you’re working towards. Either way, we know what will help keep you on track. 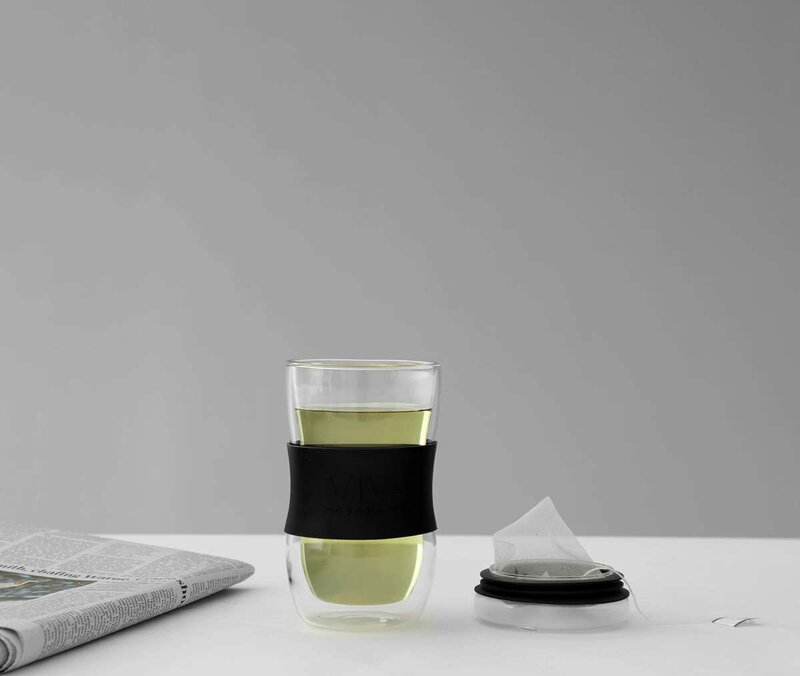 The Minima To Go Mug is the ideal companion for when you’re on the go. This glass and silicone design couldn’t be easier to fill and carry as you get on with your day. When you’re running around trying to get from work to the gym or to a yoga class, have this travel mug by your side to keep your body fueled, healthy and happy. Don’t settle for anything less than perfect. You can now leave sugary and disposable options behind you. 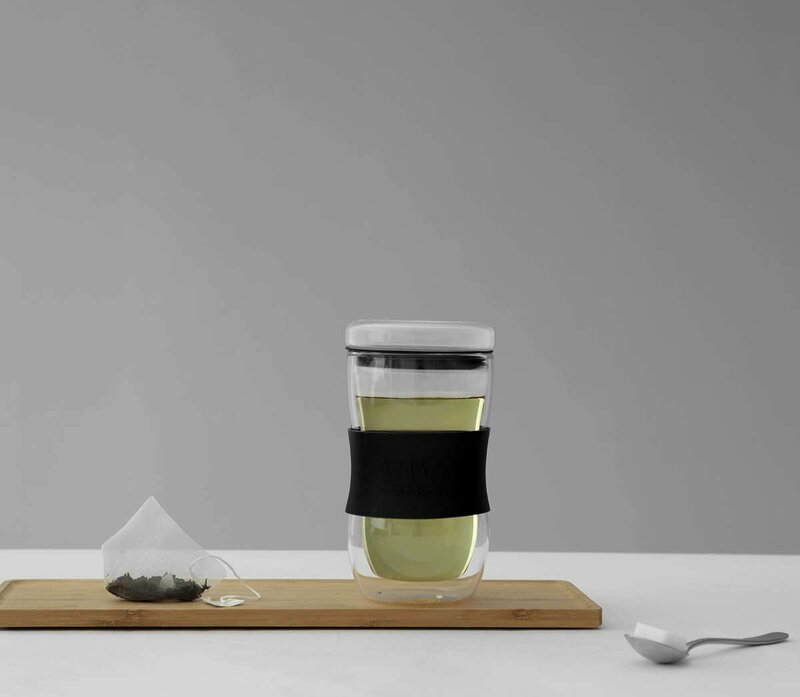 Step into a new phase of sublime drinking with this well-designed travel mug. Keeping healthy and hydrated has never been so easy. What are the advantages of a glass mug? Glass is a wonderful material to drink from. Being clear, it means you can enjoy your drinks visually and better appreciate the way their colours play with the light. Even better, in a double-walled design your drink will appear to float within the glass. Is this mug easy to clean? This mug is completely dishwasher safe, and just as easy to wash by hand. Because it’s made of our high quality Vitriluma borosilicate glass and food safe Istoflec silicone, you can be sure it won’t mark or dull easily. How big is this cup? This mug can hold up to 400mL of your favourite beverage, which is about 2 standard mugs. More than enough to keep you going while you’re out and about. Is this cup double walled? 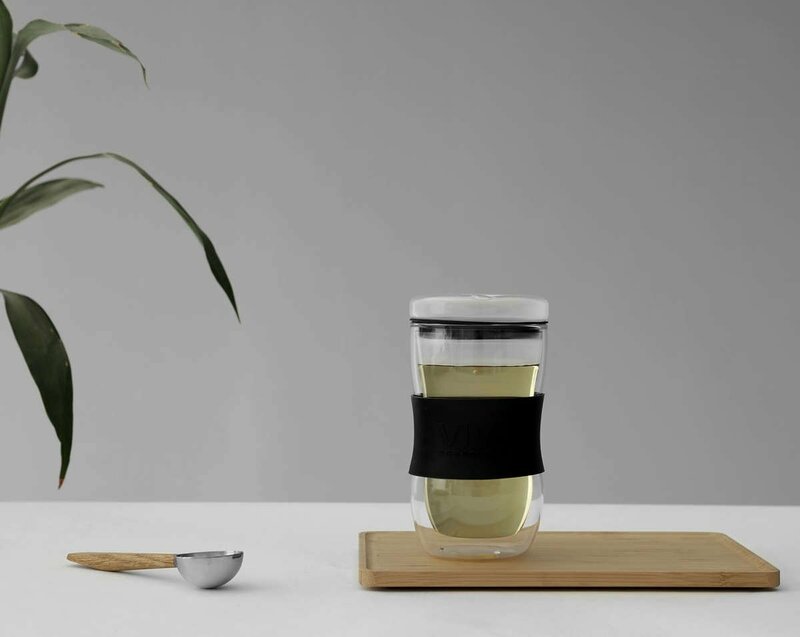 This mug is double walled to help it better insulate your drink. A double walled glass helps your drink maintain its temperature better, and keeps the outside of the mug cool to the touch. Is it difficult to remove the lid? Not at all. The lid is kept securely in place by a food-safe silicone seal. Grip the lid securely and wriggle the lid to remove it from the body of the mug.